Details: For several years it has been normal to find engineering support vehicles parked either on Park Lane or at Marble Arch, these locations being convenient for rapid attendence of bus breakdowns in the west end. 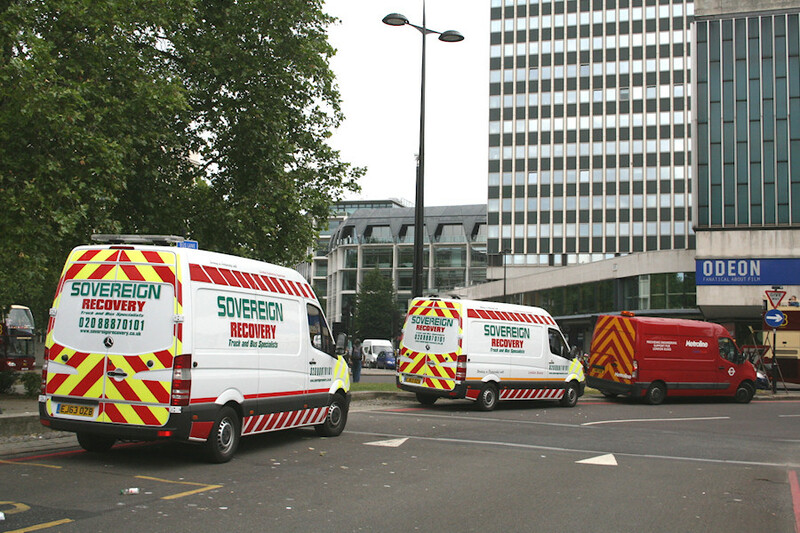 On 19th June 2015, Malcolm found three vans parked at Marble Arch including two Sovereign Recovery Mercedes-Benz Sprinters (EJ63OZA and EJ63OZB) and Metroline Renault Master LM61UOD. Both the Sovereign vans have been shown on LTSV before, and their slight livery differences noted. Since then, red-striped EJ63OZB has lost its 'Working in partnership with TfL Transport for London Buses' lettering.